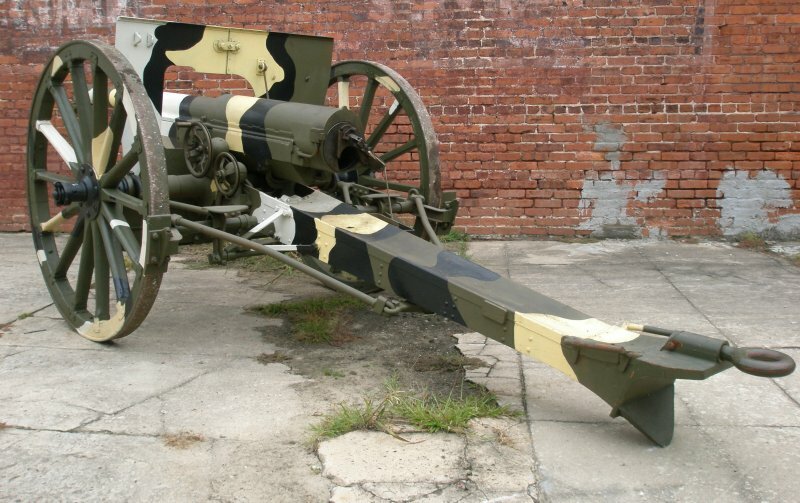 The French 75mm mle/1897 has a Nordenfelt Eccentric Screw Breech making it capable of firing up to 24 rounds per minute. It has elevation and traversing mechanisms with handles for the gunner on the left hand side of the gun. Most importantly, it is fitted with a hydro-pneumatic recoil mechanism, spade and firing stand to deploy under the wheels. This allows the gun to hold steady for the tremendous rate of fire without even having to re-lay the piece. The 75mm mle/97 was the first in any nation’s military service to have these capabilities. 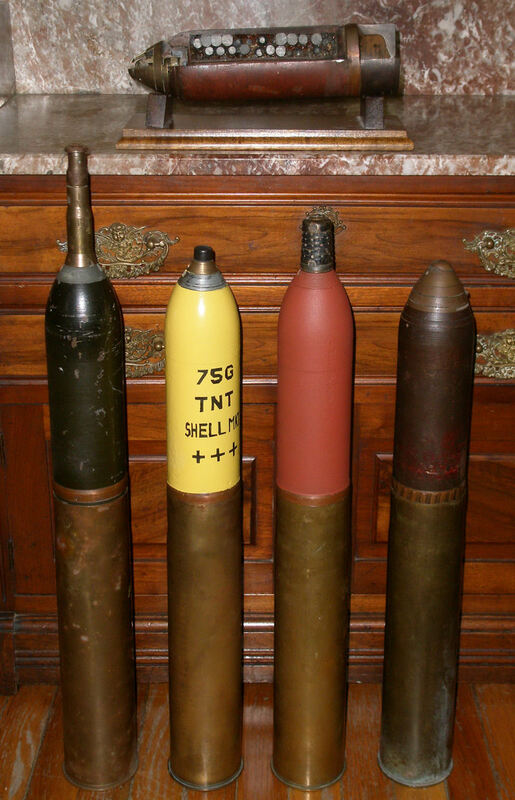 In France, the mle/97 replaced the 80mm and 90mm de Bange pieces that somewhat resembled our collection’s German 9cm. C/73. 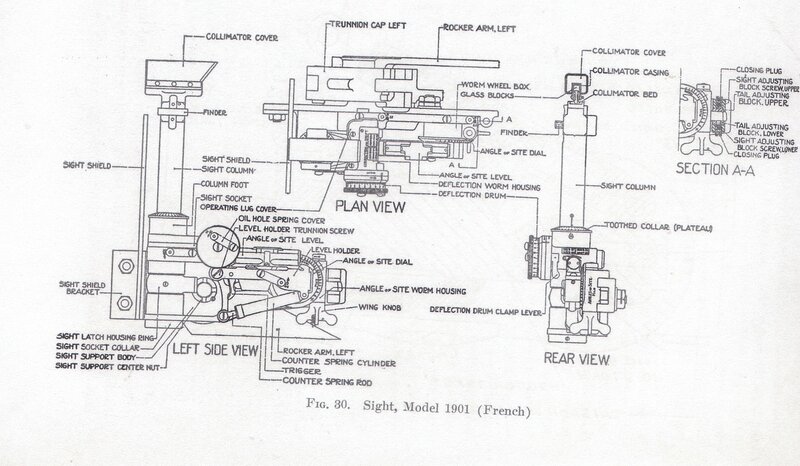 For France’s potential enemies, the 75mm mle/97 served to spark immediate improvements in artillery. In Germany, the original 7,7cm C/1896 was re-designed with a hydo-spring recoil mechanism and re-designated 7,7cm C/1896 n/A. The older 7,7cm in our collection was one of these “Recalls”, where as, the newer 1917 dated 7,7cm was built from the start with these additions. Further, Germany pushed to develop heavy artillery with more rapid fire and modern recoil systems. The culmination of this was the 15cm. s.F.H. 1902. Our collection has two pieces representing this important advance in heavy howitzer technology. 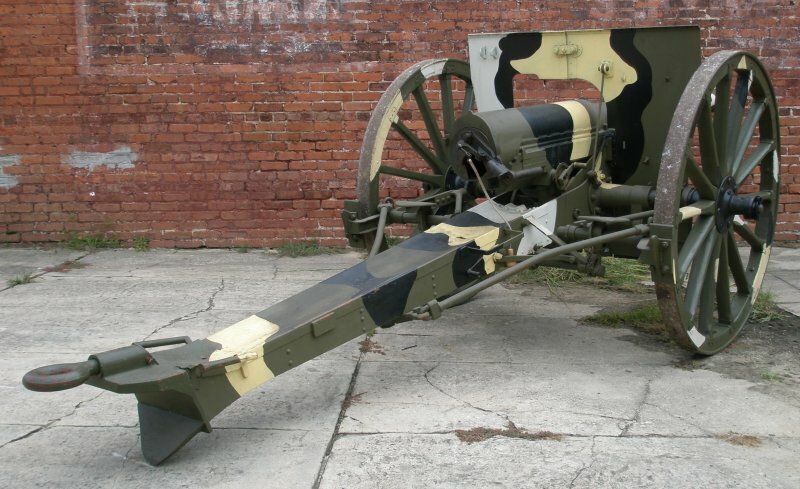 The French, once the 75mm mle/1897 was developed, wanted no other artillery. Their own 155mm mle/1904 Rimailho was never produced in large numbers. This ill fated decision being perfectly represented by a quote form a French General Staff representative speaking to the Budget Commission of the Chamber in 1909 “…you talk to us of heavy artillery. Thank God we have none. The strength of the French Army is in the lightness of its guns.” (de Gaulle, op. cit., p.217) The French saw the error of their logic in 1914 when German 15cm. 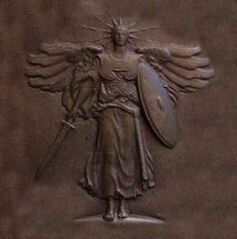 s.F.H. series howitzers out ranged their light 75mms and saturated their positions with vastly greater fire effects. 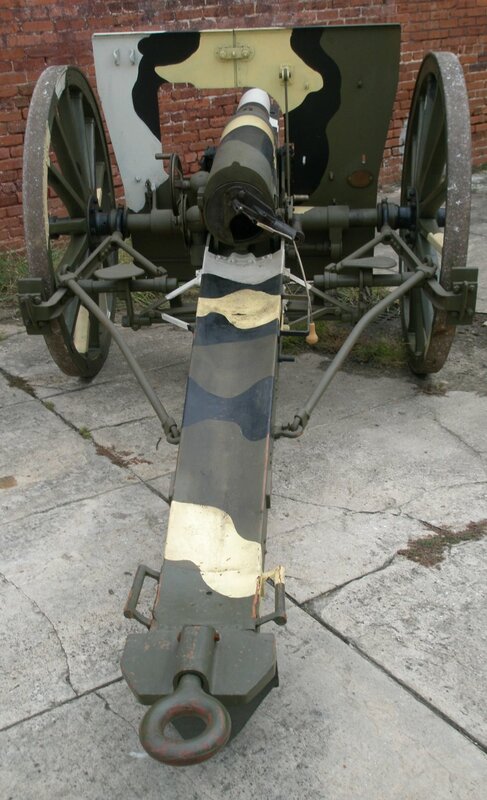 This, of course, resulted in a renewed interest in the French 155mm. 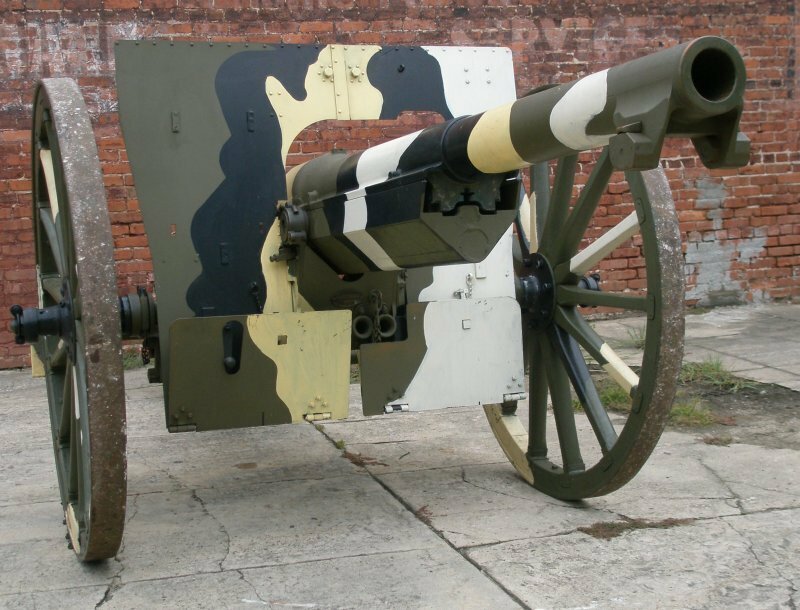 By 1915, the French Army had begun to put together a balanced combination of the 75mm gun with the 155mm howitzer, like was already in place with the German Army, represented by the 7,7cm gun and the 15cm howitzer. What is needed is a very mobile gun that can quickly react to the needs of maneuver forces backed up with heavy pieces that can react with tremendous effect with scheduled fires or calls for fire to support maneuver. Today we can see this balance in our own forces with the direct fire guns of the Abrams and Bradley along with the heavy indirect fire of the 155mm howitzer and MLRS. 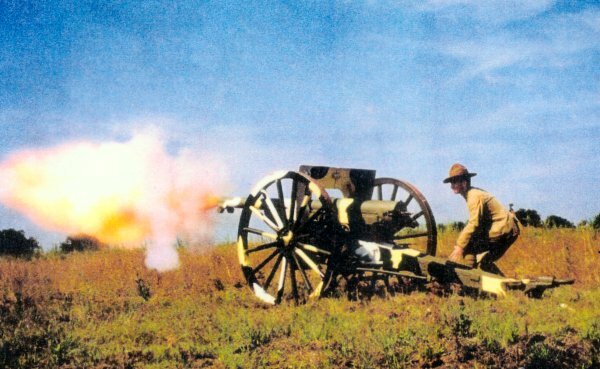 The First World War caught the US Artillery unprepared. Our 3 Inch M1902 and M1905 were in no way the equal of the modern German and French Artillery. We quickly adopted the “French 75” and the “Schneider mle/1915”. We absorbed the lessons of three years hard fought combat from the French and British and started off our part of the war with a good balance of artillery capability. The US memory does not recall this period when the 75mm mle/97 stood almost alone without the support of the heavy 155mm howitzer. With these pieces, the US Artillery grappled with the issues of logistics with vast amounts of ammunition consumption, transport, maintenance of these technically advanced pieces, manufacture of recoil systems previously unknown in the US and, of course, supporting the maneuver forces while coordinating fires to their movements. These were all issues the US would continue to work through with the 75mm and 155mm all the way into World War II. Rear view of the mle/1897 showing the Nordenfelt breech mechanism. Above and Below: The mle/1897 showing the correct French 14 spoke wheels with typical French and American 2 Color Camouflage. 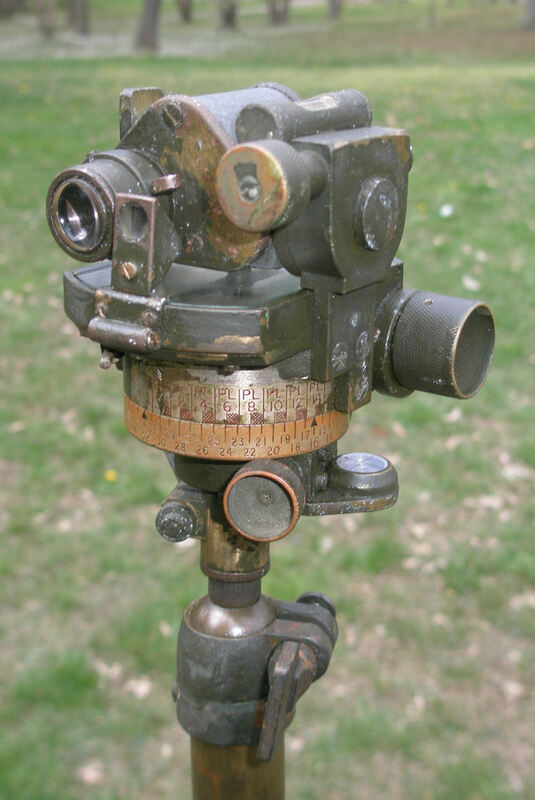 Above Right: The French made sight for the 75mm mle/97 used in French and US service.